Let me talk about the history of this stunning city. The fertile grounds of the Danube gave home to settlements for millennia. After the Celts and Romans, the Slavs established here a settlement in the 6th century. In the early 11th century, the king of Hungary Stephen I built a fortress and in 1030 the first coins were stamped with the inscription Breslava civitas (The Citadel of Bratislava ) which is nowadays the emblem of Bratislava called “Hrad”. The Importance of this city increased after the Battle of Mohach in 1526, the king of Hungary moved its residence here from Buda. The city was named Pressburg under the rule of the Habsburgs, and their rulers were crowned at St.Martin’s Cathedral until 1830. A fact that I do enjoy about Bratislava is that it is about 70 km from Vienna. Today’s Bratislava with its beautiful buildings regained its striking charm. The city was a favored destination of aristocrats because of its famous and pompous shows. The former Pressburg flourishes once again, the industry increases and the city is truly a precious jewel. 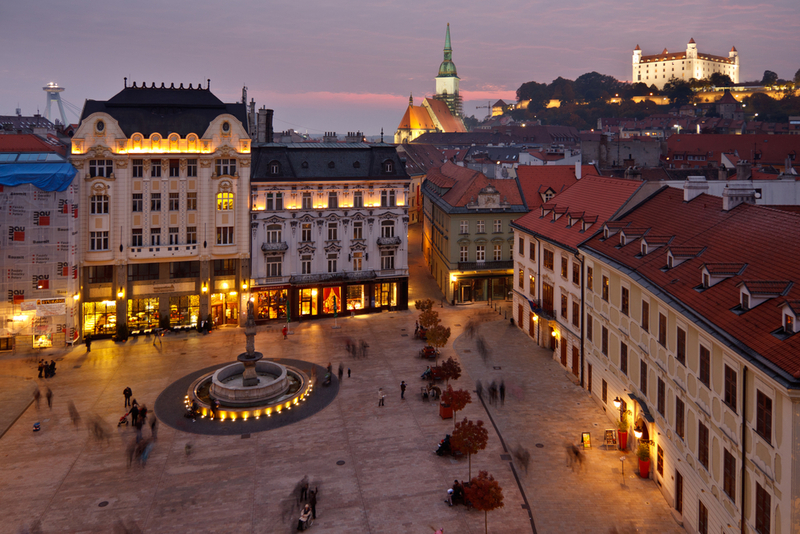 Bratislava has a rivalry with Vienna, but it is said that the nights are longer. The big square of the old town which is called Hviezdoslav is very charming. I loved it because it has very beautiful architecture and I’m always into gorgeous views and history which the city center has got. In the heart of the there is the old town hall (now a museum) which was built in the 15th century. Another important building is the Apponyi palace which is now a museum dedicated to wine cultivation. Mirbach Palace is an outstanding Rococco style building and the Neoclassical Primate Palace with its square is one of a kind. These buildings are magnificent, filled with history. One of the most important buildings however is St. Martin’s Cathedral. It was built by the Jesuits and the Franciscans. For me it is a splendid architecture since it has got big history and the not only the building is so delightful, but the surroundings of the structure are one of a kind, practically it’s in the middle of the old town. 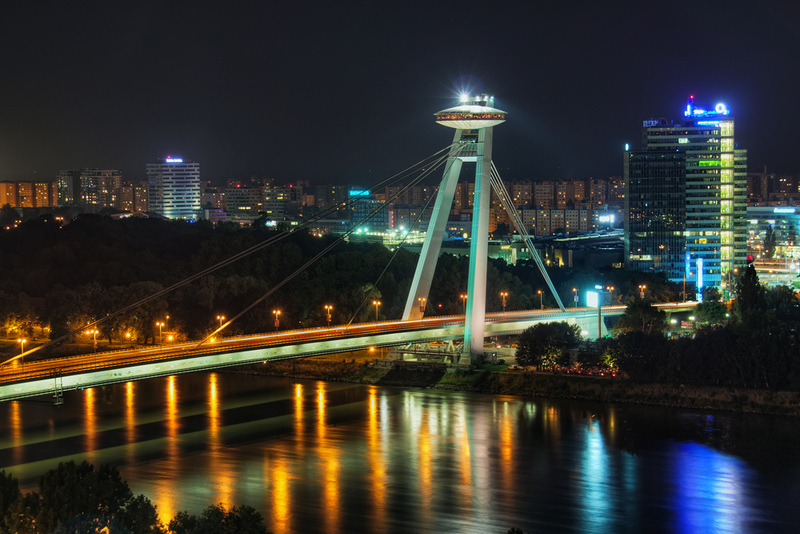 If you want to have a very nice view of the whole city, my advice is to go the “Most SNP” bridges UFO tower restaurant which has the best view of the whole Bratislava, including the Hrad and the old town as well. You can also have a great meal over there with a nice view, how cool is that? A very famous and delicious Slovak dish is called Strapa?ky, it is a dumpling filled with cheese optionally sprinkled with cooked bits of smoked pork fat/bacon. 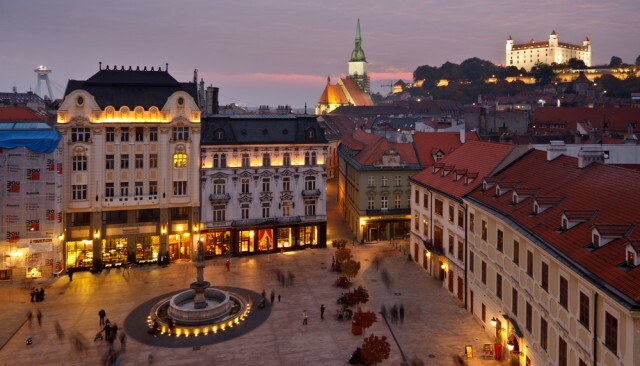 Bratislava is accessible with every type of transportation, by car/road, plane, train or bus. There are routes hourly from Vienna, Prague and Budapest by bus or train. The prices are cheaper compared to other neighboring capitals but that doesn’t mean that you have to throw money away so watch your spending.